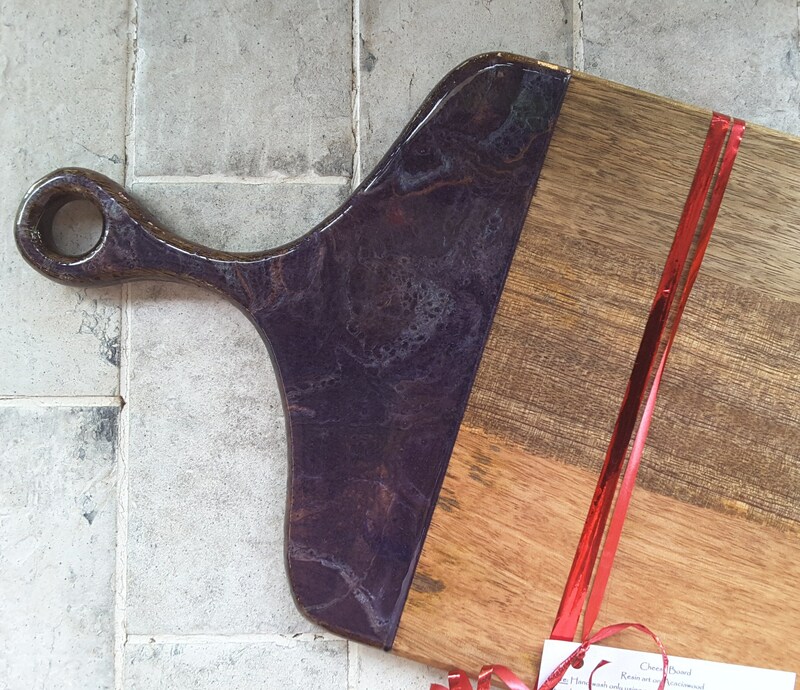 Acaciawood serving board / cheeseboard, great size for entertaining, you can pile all your goodies onto share. 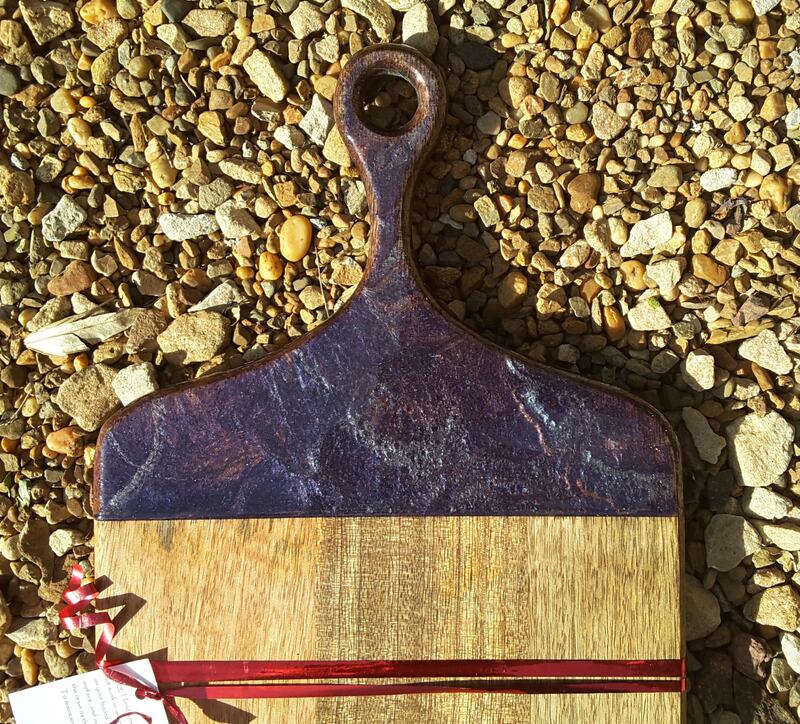 I have handpainted the board with pigmented resin in purple, sky blue and copper. The back of the board is plain. 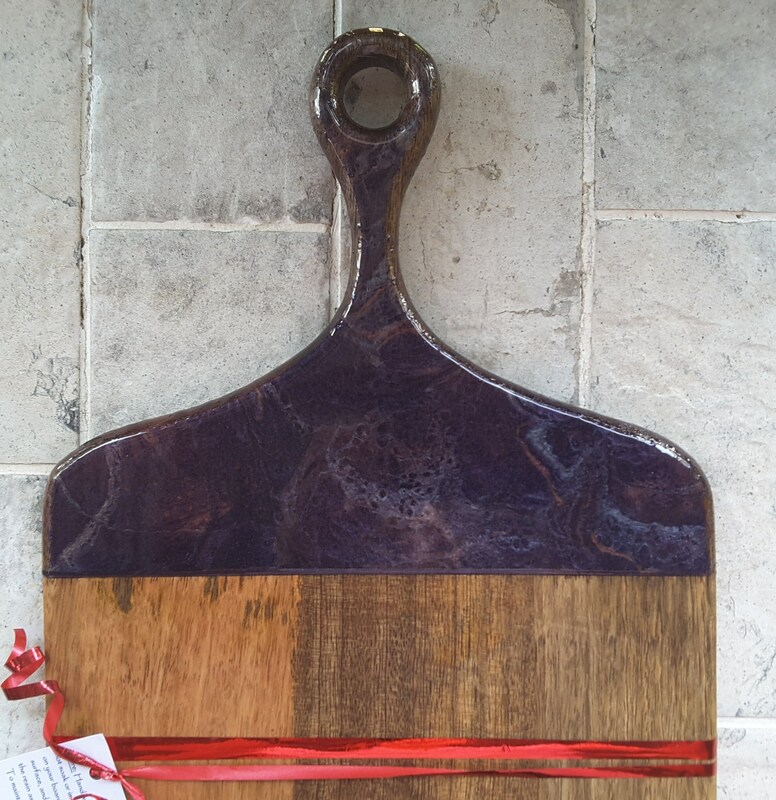 The timber has been conditioned with a generous treatment of food grade mineral oil and is ready to use. I also use a food-safe resin, although you shouldn't cut on the resin or place anything too hot on that part of the board.